The U.S. Consumer Product Safety Commission and Health Canada in cooperation with phil&teds USA Inc., of Fort Collins, CO. have recalled about 22,000 strollers in the United States and 7,200 in Canada . When folding and unfolding the stroller, a consumer’s finger can become caught in the hinge mechanism, posing amputation and laceration hazards. This recall involves sport v2 and classic v1 model single-seat jogging strollers. The three-wheel strollers have a metal frame, cloth seat and a canopy. The sport v2 model stroller was sold in red, orange, green, black, charcoal, navy and in graffiti print. Sport v2 serial numbers included in the recall are 0308/0001 to 0510/0840. The classic v1 model strollers were only sold in red. Serial numbers for the classic v1 are 0308/0001 to 0510/0906. The first four digits of the serial number is a month/year date code and the last four digits are for the individual stroller. Serial numbers are printed on the inside of the folding hinge. The phil&teds logo is located on the crotch piece of the harness on both models. 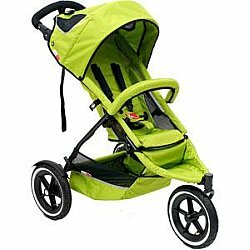 The strollers were sold at Specialty juvenile stores nationwide from May 2008 through July 2010 for between $350 and $450. They were manufactured in China.